We provide the clients with colorful Promotional Folding Tents. The Promotional Folding Tents are manufactured in such a way that helps it to be placed in different places. 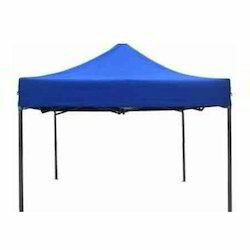 This range of Promotional Folding Tents is portable and easy to carry and comes in diverse designs and dimensions. We offer customers a wide variety of camping equipment and trekking equipment. These camping equipment and trekking equipment are manufactured using qualitative materials to provide in them durable finish quality to withstand usage in difficult terrains. We offer Indian Shikar Tent(Swiss Cottage Tent) In Various Sizes&Very attractives prices.This Tent is commenly used in Desert Camps, Jungle Camps, Adventure Camps, Resorts etc. 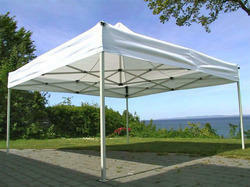 With rich industry experience, we are manufacturing and supplying a wide assortment of Folding Tents. Owing to our years of industry experiences, we are committed towards providing our clients with the best class Folding Tent. - This tent is used in exhibition and trade fair for different purposes.